sidebar example — Barry Architects, Inc.
Egremont Elementary School serves 460 students in kindergarten through fifth grade. 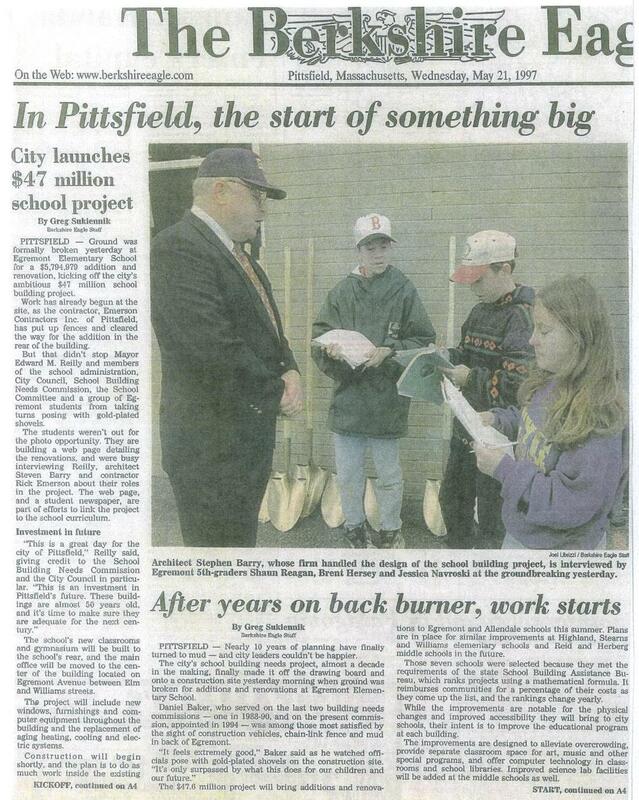 This project was undertaken with a team of specialized consultants who worked hand in hand with the City of Pittsfield, the school superintendent, the principal, and teachers. Together, these individuals developed a program and design for a facility that fully met the educational needs of students, faculty, staff, parents, and the local community. The firm coordinated this effort using advanced technology, including computer-aided design, drafting, and 3D modeling. Additions and renovations for this facility include 32,000 SF of new construction and 32,000 SF of renovated space. Freshly painted walls and floor colors—in school colors—line the corridors, while new carpets, desks, and chairs complement the classrooms. A new gymnasium, kitchen, classrooms, offices, and art and music rooms are some of the new spaces. In addition to the extensive construction and new furnishings and equipment, this project also required that all mechanical and electrical systems were replaced with state of the art, energy efficient systems. A new technology/media center was the focal point of the project. It is a beautifully lit area that offers students a comfortable atmosphere to develop a passion for reading and technology. A fully integrated technology system was installed to provide the school with the most current computer, television, phone, intercom, fire alarm, HVAC, and security systems. Classrooms were equipped with integrated computer and cable TV jacks that connect to the technology/media center’s file server room. 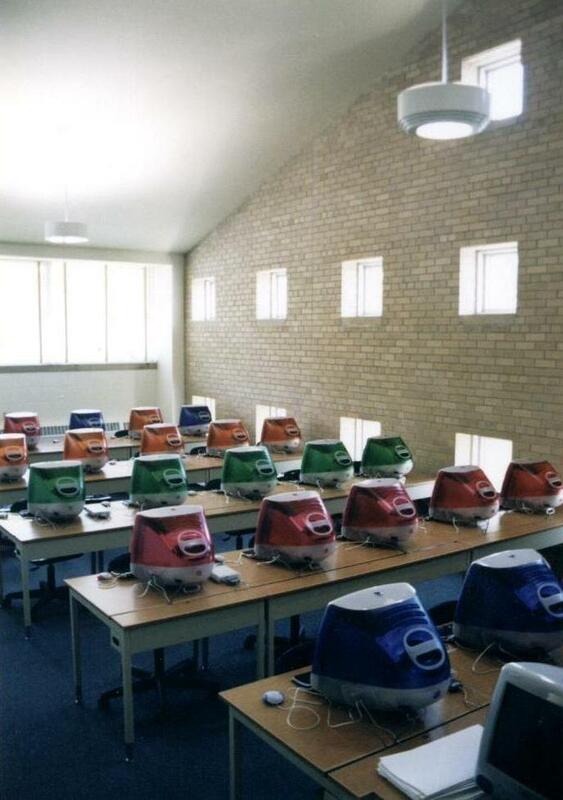 A computer lab with 25 iMacs has access to both the internet and a local, inner-city network.